What to expect: Prepare for a first-class dining experience with no detail unnoticed. Fiola is housed in the gorgeous Parisian inspired 1515 Sunset Building with an interior to match, designed and decorated in the European style. Everything is opulent, from the beautiful bar to the 8,000 bottle wine cellar. Diners will be treated to the full white tablecloth experience: impeccable service, cuisine from a celebrated Italian Chef, and classic hospitality. In fact, the team from Fiola’s flagship Michelin-starred restaurant in Washington D.C. has personally opened the newest location to impart the traditions of the first restaurant. The Menu: Chef Fabio Trabocchi has curated a contemporary menu inspired by regional Italian classic dishes and locally-sourced Florida specialties. The menu changes regularly to reflect Fiola’s commitment to continuous progression and the changing seasons. 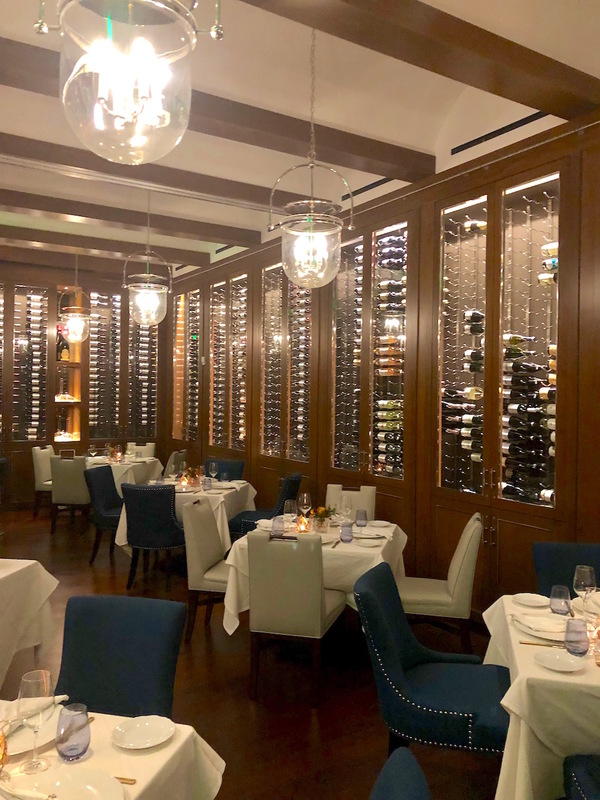 Offerings include extensive raw bar and crudo options, appetizers, homemade pastas, composed entrees, and meat and seafood selections (grilled or cooked in the wood oven). What to order: Before ordering any food, select from the list of world-class wines and hand-crafted cocktails. We recommend the Especial made with an intriguing blend of Tequila, Mezcal, Averna, Rooibos tea, strawberry, mint, and lime. From the “Tutto Crudo” section, the standout dish is the Bison Tartare. 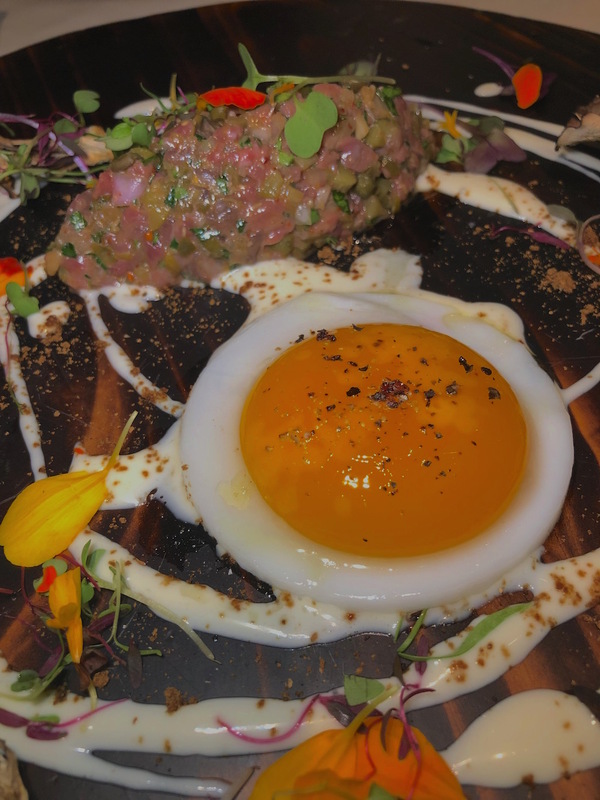 We love tartares, but this one is truly special with tender Bison meat and a decadent duck egg. The experience is elevated with radicchio castelfranco, maitake mushrooms, and a rich parmigiano crema. 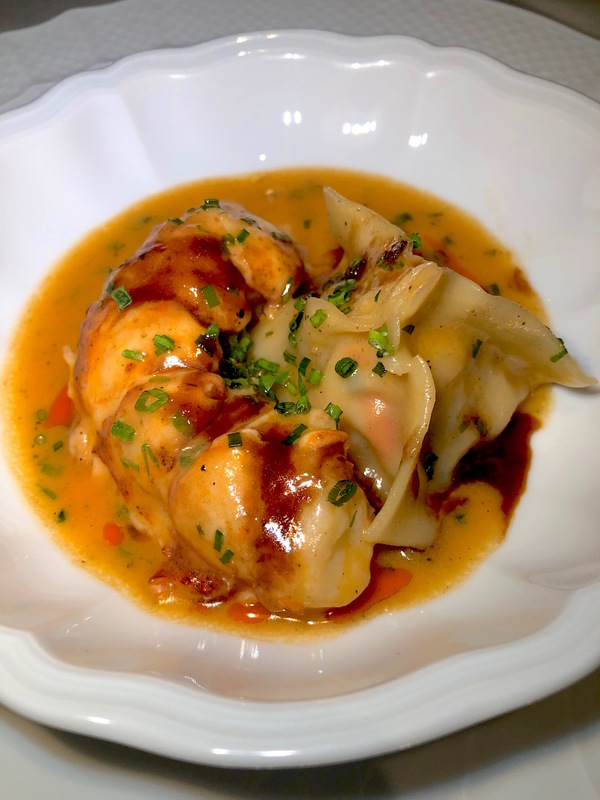 Another signature item is the Fiola Lobster Ravioli with ginger and chives. 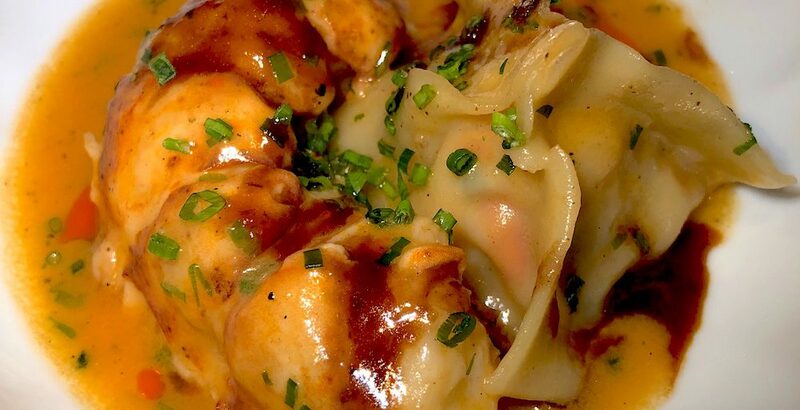 This dish is the definition of luxury, with juicy and sweet lobster meat and a delicate sauce that is a delicious complement to the lobster. 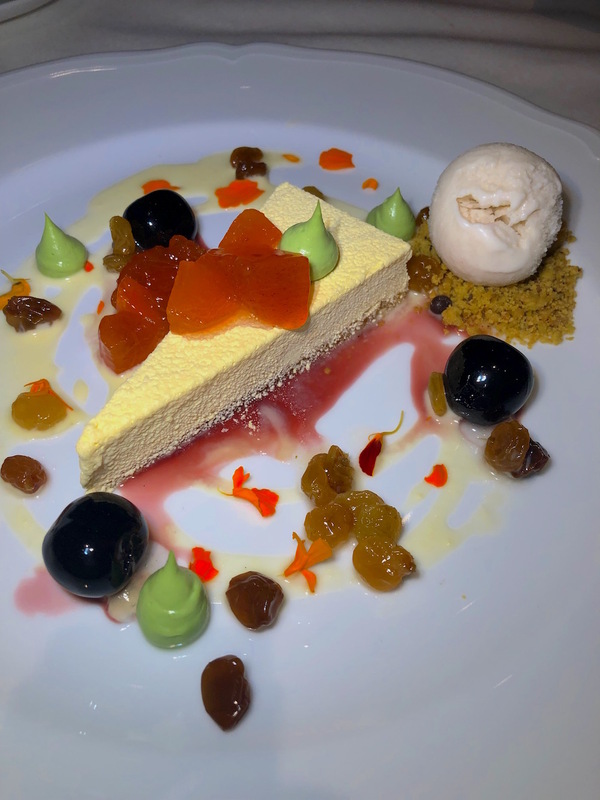 If you have room for dessert, try the Persimmon Sicilian Cassata, a traditional Sicilian liqueur-soaked sponge cake made with sweetened ricotta cheese. Fiola’s version features Bacardi rum gel, almond sorbet, and rum-infused golden raisins. A boozy dessert is always a good idea! How to score a table: Fiola just opened November 1st after much anticipation, so a reservation is highly recommended. If you are waiting for a table or prefer the bar, go for “Martini Hour” from 4-6PM and then 9:30-10:30PM Mondays through Thursdays for $12 Cocktails and $9 glasses of wine.